The Fastener Show Inducts Bill Derry into Fastener Hall of Fame! The Fastener Show has partnered with The Fastener Industry Coalition to chose Bill Derry, Chairman, and CEO of Field Fastener to be honored as the newest inductee into the Fastener Hall of Fame at their annual event in Las Vegas. Mr. Derry will join The Fastener Show’s 35 previous inductees at a ceremony that has been one of the unique hallmarks of The Fastener Show’s long history. The special recognition award ceremony will take place on the show floor in the Sessions Area at The Fastener Show in Las Vegas on Wednesday, October 18 at 3:30 p.m.
Each year, The Fastener Show has recognized and honored inventors, business leaders, and educators who have made significant contributions to the fastener industry for their Fastener Hall of Fame. It is a prestigious award within the industry that has been around for 31 years. Nominees are reviewed by the Fastener Industry Coalition, members of thirteen North American regional and national fastener associations concerned with the distribution, manufacture, and importation of fasteners as well as services to the fastener industry. In addition to identifying opportunities, contributing to change leadership, and being visionaries with unimpeachable integrity and respect in the industry, winners of this award have developed innovative models and made important educational and professional contributions that advance the fastener industry as a whole. Top industry challenges for 2017 include market consolidation with global expansion, supply chain shortage risks, and solutions for new market adaptation strategies. This year’s winner has a global mindset with a focus on educating the next generation to adapt and integrate change. The Fastener Industry Coalition committee reviewed a large field of exceptional nominees before selecting Bill Derry. His road to becoming Chairman and CEO of Field Fastener in Machesney Park, Illinois included more than 45 years in the fastener industry, including over 20 years in leadership positions with Camcar Textron and Rockford Products. He and his brother acquired Field Fastener with only 12 employees in 1990, but the company has experienced an average 19% growth rate for the past 26 years and now has over 150 team members in twelve states and three countries. The company has been recognized as one of the nation’s best places to work and named one of Inc.’s Fastest Growing Privately Held Companies for the last seven consecutive years. Bill was chosen as this year’s inductee because of his many selfless contributions to the fastener industry with an eye toward global change and competition. He not only serves as a mentor in Advancing Individuals through Mentoring, a program created by the National Fastener Distributors Association for Young Fastener Professionals, but also served as President of the National Fastener Distributors Association, and is a founding member of the Global Supply Alliance. He was also a key consultant in discussions with various governmental agencies during Congress’ deliberation and implementation of the Fastener Quality Act and served as a delegate for three years to the Industrial Fasteners Institute. Held annually in Las Vegas, NV, The Fastener Show (previously NIFSME) is the largest fastener expo in North America. Since 1981, the event continues to bring together all participants in the fastener supply and distribution chain. The event consists of a multiple-day conference program, a show floor with more than 600 exhibiting companies from around the world, the only industry-wide Hall of Fame and Young Professional Award Ceremonies, and an education program focused on current industry challenges. 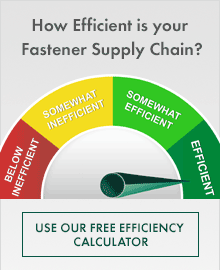 The Fastener Show is owned and operated by Emerald Expositions, the largest operator of business-to-business trade shows in the United States, with most of our shows dating back several decades. We currently operate more than 50 trade shows, including 31 of the top 250 trade shows in the country as ranked by TSNN, as well as numerous other events. Our events connect over 500,000 global attendees and exhibitors and occupy more than 6.5 million NSF of exhibition space. We have been recognized with many awards and accolades that reflect our industry leadership as well as the importance of our shows to the exhibitors and attendees we serve. 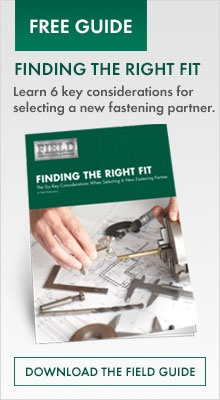 More information about The Fastener Show can be found at fastenershows.com.